With the advent of the new season, every summer resident thinks about how to care for your lawn. The main concern is that the grass under warm sunshine rushes upwards. And if it is not put in order in a timely manner, your lawn will quickly grow and become completely jungle. Today, every summer resident has the opportunity to purchase various types of lawn mowers. They have different shapes, sizes and even purpose. 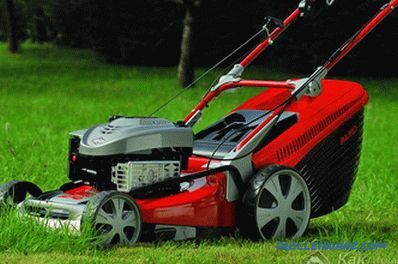 This article will help you figure out how to choose a lawnmower. 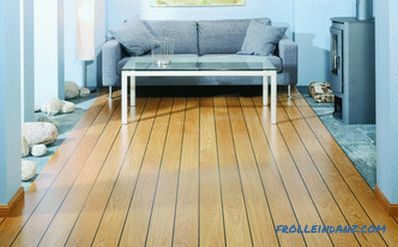 At the same time, we will tell you which types of this unit exist and which of them should be preferred. The term "lawn mower" today means the subject that easily deals with thickets and vigorous vegetation. 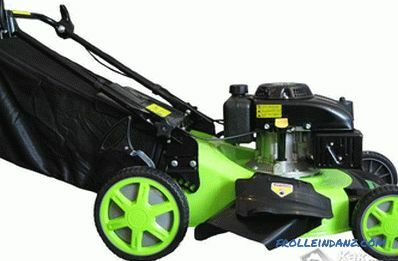 Among the variety there are several basic types, namely: motokosa, trimmer and lawn mower. Each of them has its own purpose. The trimmer and motokos are quite similar in shape. They have a special bar, cutting part and motor. A special belt is used to hold the vehicle, which is hung on the shoulders, and a special handle is fitted to hold it in the hands. However, they also have differences. For example, mowers have more power. Therefore, they are able to cope with large thickets, for example, burdocks, nettles and the like. Their cutting part has knives, although at will you can use a special fishing line. However, in the course of work they give a big load to the hands, moreover, in the process of work they emit a lot of noise. 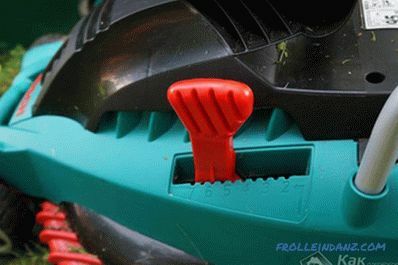 As for trimmers, they have less power, and the cutting part is only a fishing line. Usually they are used for mowing weeds and grass under trees, as well as on uneven reliefs. But their advantage in efficiency, as they consume significantly less fuel. The most massive unit in this category is the lawn mower. In shape, it resembles a cart, which is equipped with a motor. Its movement is carried out using the built-in wheels, and the grass is cut off with knives. A special pen is equipped for its control, so it is very easy to control it. To be honest, this option is not the best, since it requires a perfectly flat surface, where there are no shrubs and trees. Because of its size, it will not be able to cut the grass close to them. The disadvantages of this device include the danger from stones. If a stone comes in contact with a knife, it may break. Therefore, if you are a sensible summer resident, then it would be nice to have a trimmer for hard-to-reach places, as well as a lawn mower for an even lawn. Now consider the five features of this device. Which lawn mower is better, petrol or electric? This information will help you decide which lawn mower is best for you. Noise level and power. In any case, a lawn mower that runs on gasoline will always be more powerful than an electric one. Electric lawn mowers are powered from a 220 W network. Accordingly, it will be impossible to install a powerful engine on it, since the network simply will not sustain the load. In order to somehow increase the power, some models additionally equip the battery, which is able to work for two hours. However, the electric lawn mower is much quieter. In contrast, gasoline creates a big roar in the mown area. For this reason, complete with headphones gasoline mower are headphones. 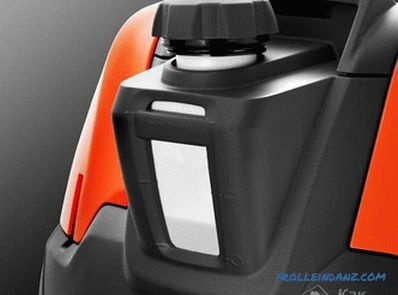 As far as power is concerned, one important factor to consider when choosing a lawn mower. Maximum power can cause premature failure of the unit. How is this possible? If you mow a section with a scythe, which has an average power, and a small stone or another object accidentally gets under the knife, the motor will instantly stall. The stone goes, and the work continues. But if the same stone falls under the spit of a more powerful lawn mower, then there may be a serious problem. Engine power is enough to turn up the stone and subsequently jam the knife. 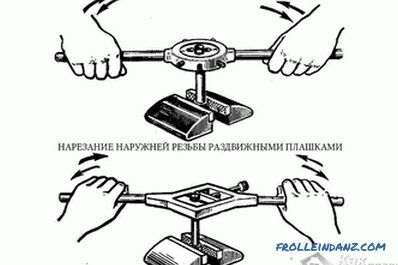 As a result, the cutting mechanism is curved, the shaft is deformed, and the sleeve is also broken. You will have to take your faithful assistant to repair. Because of this, when choosing a gasoline mower, focus on 6, maximum 7 horsepower. And best of all, pre-research your lawn. There is a large number of stones on it or not. Performance. 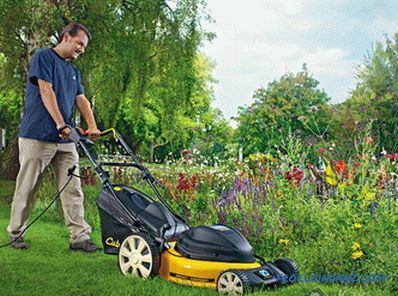 The performance level is directly dependent on the power of the mower.For example, medium or large areas are best treated with petrol models. This is due to the fact that they are able to work for a long time without stopping. It is quite another thing with an electric motor. He simply can not withstand a large and prolonged load. To prevent the engine from overheating, it is recommended to work for fifteen minutes, and then let it rest. Therefore, if you have a lawn of ten acres, then such a lawn mower is hardly enough for you. 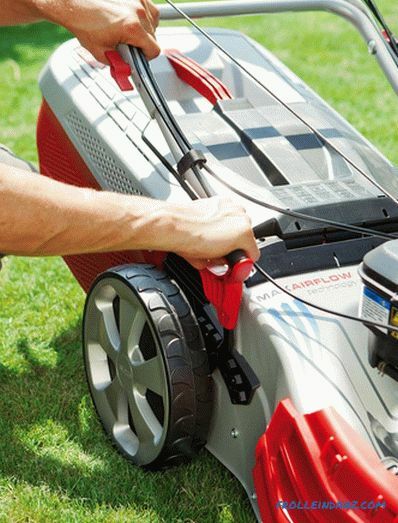 When choosing an electric lawn mower, consider the distance of the power source. In the standard cord length is 25 meters. If the distance is fifty meters, then you will have to buy an additional thirty meters of extension cable. So, if you count this entire purchase, namely the quality cable, automatic, the price of the device itself, it turns out the price of the average power of the gasoline counterpart. Therefore, think several times about whether to choose an electric lawn mower when you can buy a free wire for the same amount! Service. As for this factor, it is much easier with electric lawn mowers here. For their stable operation there is no need to constantly monitor the level of oil or gasoline. Therefore, if you have little knowledge of the intricacies of such a service, it is best to get a simple option - an electric lawn mower. Security. Both types of aggregates have their drawbacks. Gasoline models emit a large amount of exhaust gases in the process. In any case, they are breathed by the one that mows, as well as those around them. This can be especially felt if a small area is squinted. Electric braids do not have exhaust gases, but their use is prohibited in wet and wet weather. There are cases when, due to inattention, knives run into the cable and cut it. This is extremely dangerous! Weight. Weight is an important indicator that needs to be considered based on who will work. If you choose a model with a powerful motor, then the weight of the lawn mower increases. The same cannot be said about electric lawn mowers, which even older people, women and teenagers can work with. Due to their low weight, they are more maneuverable. The lawn mower is very easy to control and guide. Given all the above points, you can choose the lawnmower that will fully meet your needs. 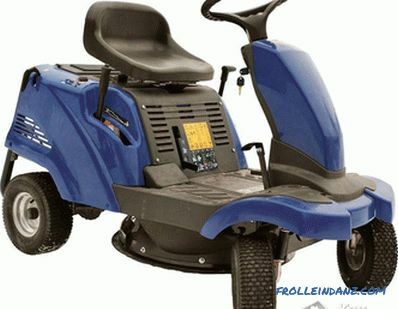 Self-propelled lawn mowers are not so called because they can mow the grass themselves, and for the reason that the manufacturer added a drive to one of the axes. This allows you to mow the lawn with greater comfort. This is extremely convenient, since not everyone can pull a half-centner of the load on his hands. From conventional lawn mowers self-propelled almost no difference. They have differences in the type of engine and drive. 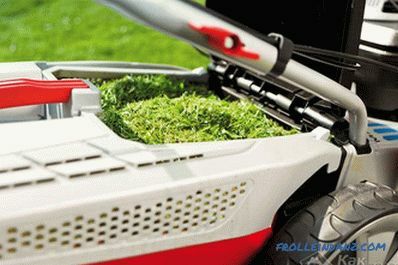 Consider some of the features of this technique that will help choose a self-propelled lawn mower. The minimum weight of such a unit is twelve kilograms. There are models that weigh all forty kilograms. In order to simply cope with it, the manufacturer specially supplied it with a drive. In this case, the drive can be both rear and front. This allows the lawn mower to go, you just have to send it. Which drive is better to choose: front or rear? If the design has a collection box, then the center of gravity will shift back, and the drive wheels will simply slip. An indicator such as maneuverability is not important for a lawn mower. This is due to the fact that when you turn the Rider, the drive turns off automatically. It is quite another thing, rear-wheel drive. They have a great advantage, because in the process of work it is the rear axle that receives the greatest load. This technique has both advantages and disadvantages. Among the advantages of the obvious advantage is that you will not have to push it. 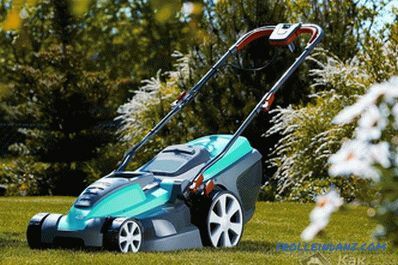 Moreover, the use of both gasoline and electric self-propelled lawn mower will be able to easily retirees and teenagers. As for the shortcomings, the high price immediately catches the eye. Use this kind of mower is best for large areas. If you have a small area of ​​the lawn, its use is irrational. If the unit has a gasoline engine, then most of the fuel will be spent on the rotation of the wheels, which is an additional expense.So, the conclusion is obvious, choose a self-propelled lawn mower petrol or electric is best for large areas. If you are satisfied with such a device, then when choosing it, you should pay attention to the following points. Such a lawn mower should have a mowing height adjustment. Also pay attention to the material used, it can be plastic or metal. Regardless of the choice of type and type of lawn mower when you buy it, you should pay attention to some of the features and capabilities that can make lawn care more quality. Collection box. Collector collects grass that is cut by knives. 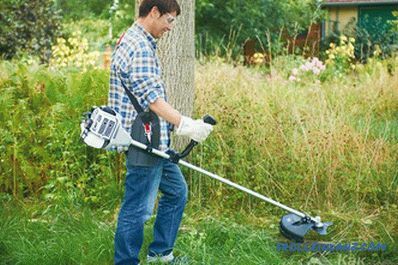 The advantages of this device are that after mowing the grass you will not need to additionally remove the lawn from the mowed grass. However, from time to time you will have to stop work in order to clear the grass collector from the accumulated grass. Collectors can be of two types: hard and soft. 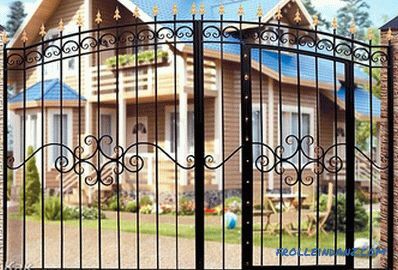 Hard made of plastic, and soft mesh or thick fabric. Working with a soft grass collector is much easier. 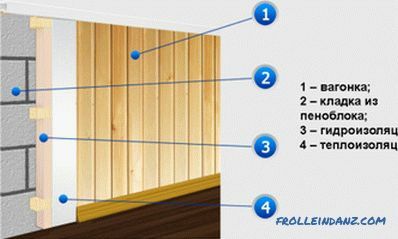 Without removing the collection box, you can easily check its filling. As soon as the air stopped inflating it, it means that it is full. If the collection box is made of plastic, this check will not work. Have to stop work and check from time to time. However, the plastic collection box is best for mowing wet grass. If there is a net, small parts of the grass will stick to the net, and after each mowing you will have to wash and wash it. Mulching. 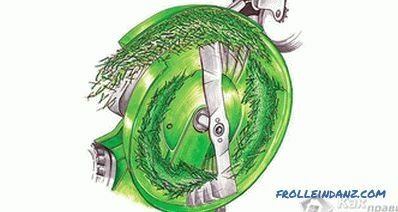 Some lawn mowers are additionally equipped with a device that grinds everything that goes inside. After the mass in the form of mulch is thrown on the lawn for feeding. At first glance it may seem that this is a useful addition, but there is one thing, but! You can get good mulch only when mowing dry and soft grass. If the lawn is wet, the mulch rolls into lumps that are scattered on the lawn and clog the grass roots, thereby preventing its growth. Thus, bald areas can form on the lawn. Moreover, if there is an excess of mulch, felt may accumulate, which will interfere with the normal growth of the grass. To clean the lawn, you have to constantly rebuild it. Lateral ejection. If you need to mow the grass on the side of the road, this is a very useful addition to your chosen lawn mower. Front and rear wheel drive. When choosing a gasoline mower, pay attention to the presence of a drive. On the advantages and disadvantages of self-propelled lawn mowers with front and rear wheel drive, we have already mentioned above. Therefore, everyone decides for himself which model he chooses. Cutting height adjuster. 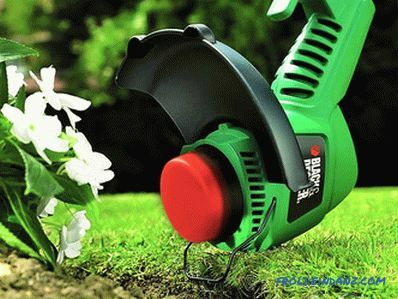 This feature will be useful in cases when you have to mow different types of lawn. Height adjustment is very fast. If you want your lawn to have the same height of the bevel, then the regulator is fixed in one place. If this is the case, then there is no point in overpaying money for this function. Also note the diameter of the wheels. The larger it is, the easier it will be to move the lawn mower over the lawn. Separately pay attention to the quality of knives. They should always be sharp, so the grass will look much healthier and have a natural green color. If you mow the lawn with a line or cable, the quality of the mowing will differ significantly. 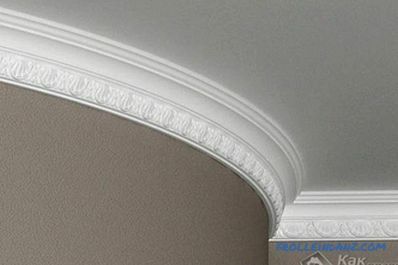 Choosing a particular model, pay attention to the cutting width. You can pre-divide the section by width, so you can find out how many times you need to go through the section for the whole mowing process. If you have already bought a lawn mower, we will be glad to know your experience work with one or another model. Leave your comments at the end of this article. 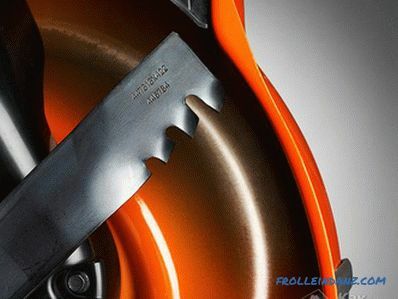 what brand of chainsaw to choose.